You’re about to get to a nice treat. 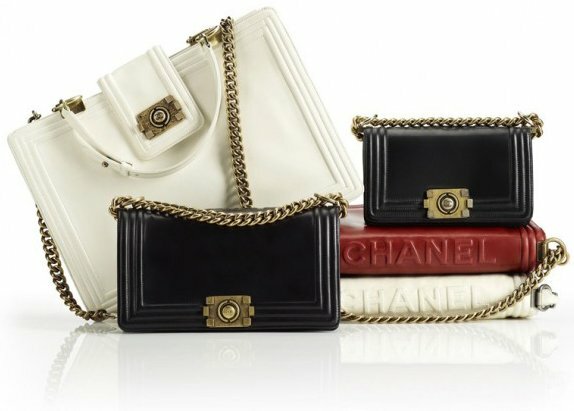 On this special post, we’re going to share the latest Chanel Bag Europe Prices in GBP and in Euro. The prices in the UK are not the same as in other Euro countries and that’s because of the differences in tax regulations and the currency exchange. And besides the prices, we will also uncover the style codes and the sizes. The first few Chanel handbags that we will be discussing are the House’s iconic handbags. And because of their uniqueness, we need to talk about it extensively, including its history and all the tiny little details. Isn’t that exciting? In this special shopping guide in Europe, we will be sharing the latest Chanel Bag Prices with VAT. We will also be sharing the ‘Chanel Bag Prices VAT Excluded’ (meaning we will provide the prices without VAT. The Bag Prices VAT Excluded is calculated based on after processing the tax-refund form. 1. tax return via credit card: you get more money back, but the process takes longer. 2. tax return via cash: you get less money back, but you will receive cash immediately. We have included both Prices VAT Excluded with Credit Card and With Cash. All right then, let’s begin the journey. The Chanel Classic Flap Bag is what Chanel stands for. Not only is this bag a classic, but every details of the design is timeless. From all the handbags in Chanel’s assortment, the Classic Flap Bag is one of the most sought after by shoppers all around the world. The story started in 1983, Karl Lagerfeld was named the Artistic Director of Chanel. But do note that Chanel wasn’t as popular as today, so Karl did a great work of putting this Fashion House on the global map. 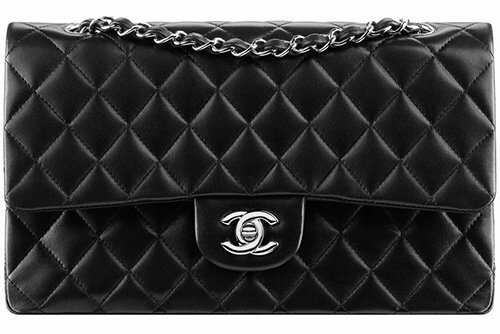 The Chanel Reissue Bag is created by the original founder Coco Chanel. Since then there were a lot of modified versions put on the market. In fact, there were so many that it became complicated. So Karl Lagerfeld decided to discontinued them all and created one ‘perfect’ flap bag that ultimately became the trademark of this brand. This bag is the Chanel Classic Flap Bag. While Coco Chanel designed the ‘mademoiselle lock’, it was Karl Lagerfeld who made the interlocking CC Closure. 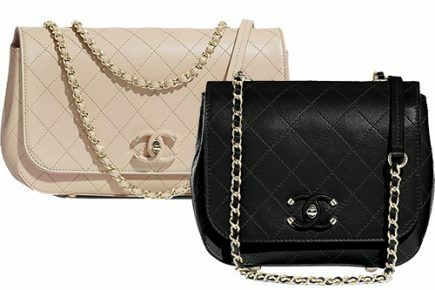 Basically, the Chanel Classic Flap Bag is the next generation of the first Chanel Reissue Bag and it went straight to become part of the ‘Timeless Classic Collection’ or the ‘Permanent Collection’. The fame of the Chanel Classic Flap Bag is unbelievable. 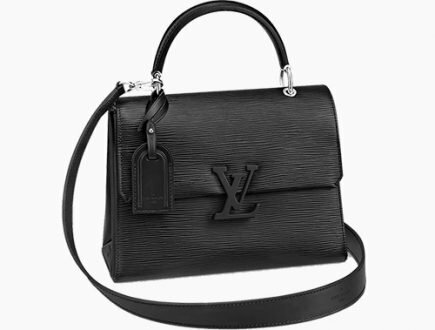 It has touched millions of people around the world and despite of the steep price increases every year, the amount of people wanting to buy this bag keeps increasing. So it’s recession-free, price-increase-free and we think it’s even a better investment than the stock market. Before we start talking about the Chanel Bag Prices in Euro and GBP, let’s cover the sizes first. This bag comes in eight sizes; the Extra Mini, New Mini, Square Mini, Small, Medium, Jumbo and Maxi, XXL. The current retail price of Chanel New Mini Classic Bag is: €2610 euro, £2330 GBP. The current retail price of Chanel Small Classic Bag is: €3990 euro, £3560 GBP. The current retail price of Chanel M/L Classic Bag is: €4480 euro, £3990 GBP. The current retail price of Chanel Jumbo Classic Bag is: €4990 euro, £4450 GBP. The current retail price of Chanel Maxi Classic Bag is: €5420 euro, £4830 GBP. 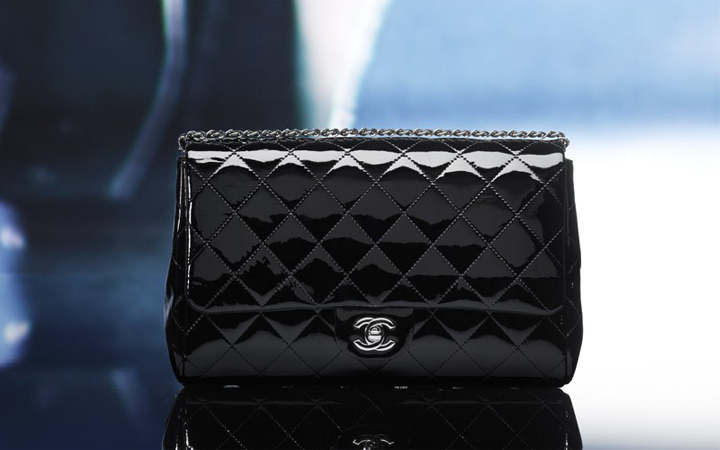 The Chanel Maxi Classic Flap Bag was introduced in 2009 and is the biggest size in the iconic collection. 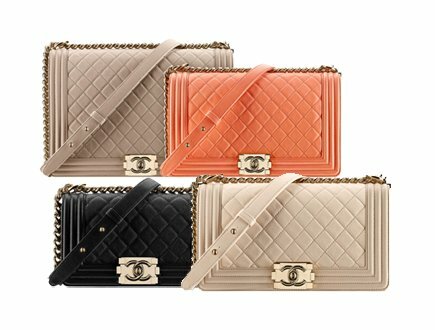 The Chanel XXL Classic Flap Bag was released in the end of 2016, but it’s only available in some seasons. In February 1955, Gabrielle Coco Chanel introduced the Chanel 2.55 Bag. It was the day that a legend was born. Every part of this bag was designed with a reason. Some was created because she was inspired, other parts are made because she thinks it would fit better for a woman. The Chanel 2.55 Bag was actually born because Coco Chanel was tired of carrying a bag on her hands or arms. 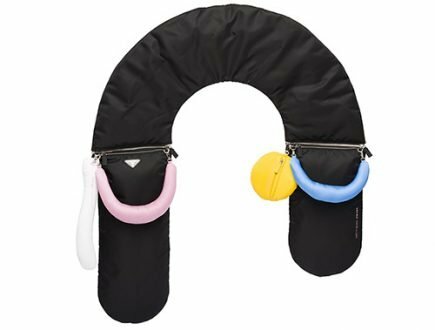 She wanted a hands-free handbag so that you can do other things with your hands. The beautiful chain on the Chanel 2.55 Bag looks like a necklace, it’s represents the love that she has for jewelry. It needed a double chain to make it easier to sling on the shoulder or your arms. The brownish lining has the same color like the uniform at the orphanage, the place where Coco Chanel grew up. A zip pocket is hidden inside the flap, some say it’s where Coco Chanel hides her love letters. 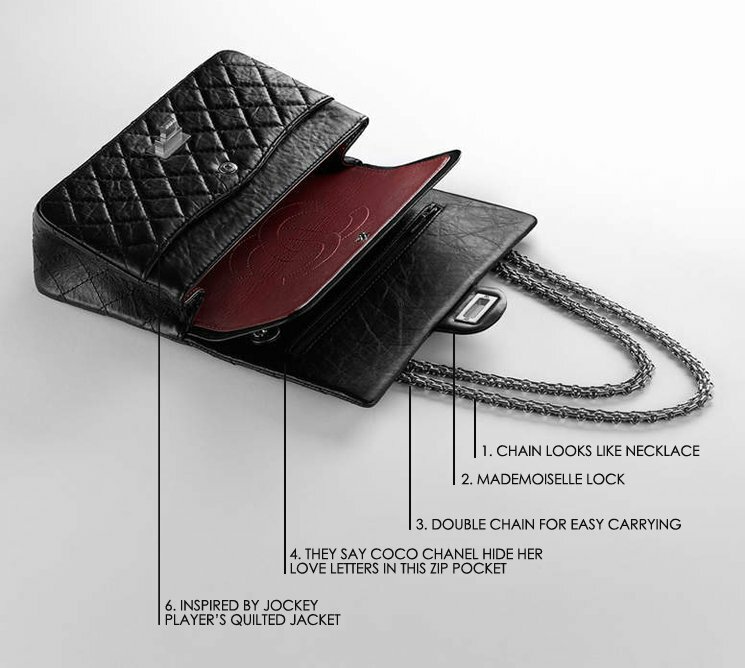 The famous lock on the bag is named the Mademoiselle Lock and it is reference to Coco Chanel for never marrying. The quilting was inspired by the quilted jackets of the Jockey players. 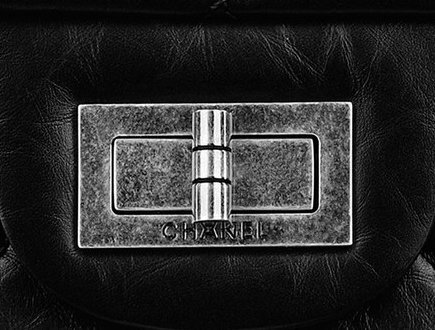 Karl Lagerfeld re-made the original 2.55 Bag exactly how Coco Chanel designed it in 1955. He released it in February 2005 to celebrate the Chanel 2.55 Bag’s 50th year anniversary. Then the Chanel Bag 2.55 Reissue Bag was born. Reissue was added because it means a new issue of the bag. So here are the Chanel Bag Prices in SGD, AUD, JPY and CNY (Singapore, Hong Kong, Australia, Japan and China). You can also find the style codes and sizes below. The current retail price of Chanel 224 Reissue 2.55 Bag is: €3990 euro, £3560 GBP. The current retail price of Chanel 225 Reissue 2.55 Bag is: €4480 euro, £3990 GBP. The current retail price of Chanel 226 Reissue 2.55 Bag is: €4990 euro, £4450 GBP. The current retail price of Chanel 227 Reissue 2.55 Bag is: €5420 euro, £4830 GBP. We clearly remember the moment when the first Chanel Boy Bag came into our life because it was around that time that Bragmybag was born. It wasn’t quilted, the Boy Clasp had a round design in the center and on the side, you could find the CHANEL logo. The fashion world took notice of the Boy Bag and Karl Lagerfeld re-designed it several times afterwards. The logo on the back was removed and the Boy Clasp is a bit classier today. Then finally, another iconic bag emerged; the Chanel Quilted Boy Bag is added to the ‘Permanent Collection’. 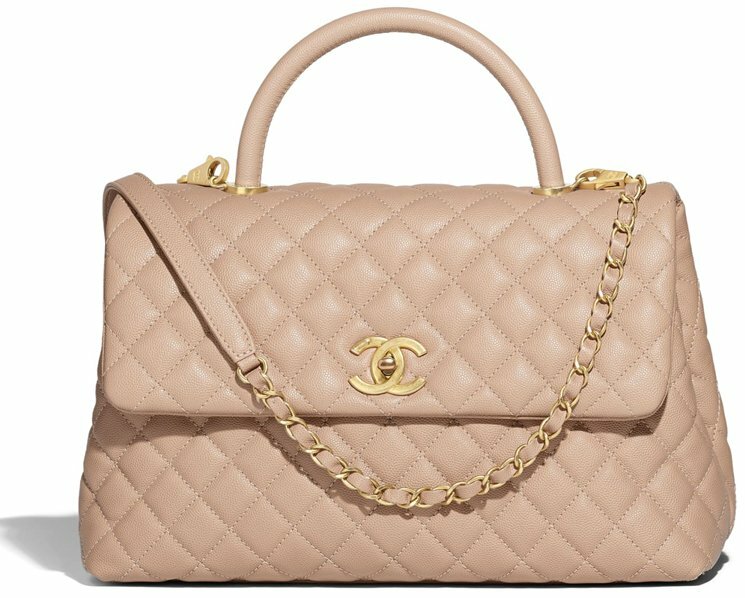 The Chanel Boy Quilted Bag has a different look than the Classic Flap Bag and the Reissue 2.55 Bag. It’s stronger, sharper and bolder. The name ‘Boy’ is the perfect clarification of the design, with large and louder chains, and masculine elements; it became a bag that everyone desired. Iconic bags are made out of history, stories and inspirations and there are more to tell. Just like the other classic bags, the Chanel Boy Bag was inspired by Coco Chanel’s playfulness with masculine style. Karl Lagerfeld explained it more clearly: ‘Chanel used men’s underwear to make dresses, she had this boyish attitude and it is the very spirit of Chanel’. Then Karl Lagerfeld was asked about the name ‘Boy Bag’, he said: ‘The boyish attitude, she’d picked it up from Boy Cape;, the great love of her life…Indeed, the bag’s called Boy Chanel’. The current retail price of Chanel Mini Classic Boy Bag is: €2890 euro, £2620 GBP. The current retail price of Chanel Small Classic Boy Bag is: €3660 euro, £3200 GBP. The current retail price of Chanel Old Medium Classic Boy Bag is: €3980 euro, £3480 GBP. The current retail price of Chanel New Medium Classic Boy Bag is: €4440 euro, £3890 GBP. The current retail price of Chanel Large Classic Boy Bag is: €4760 euro, £4170 GBP. 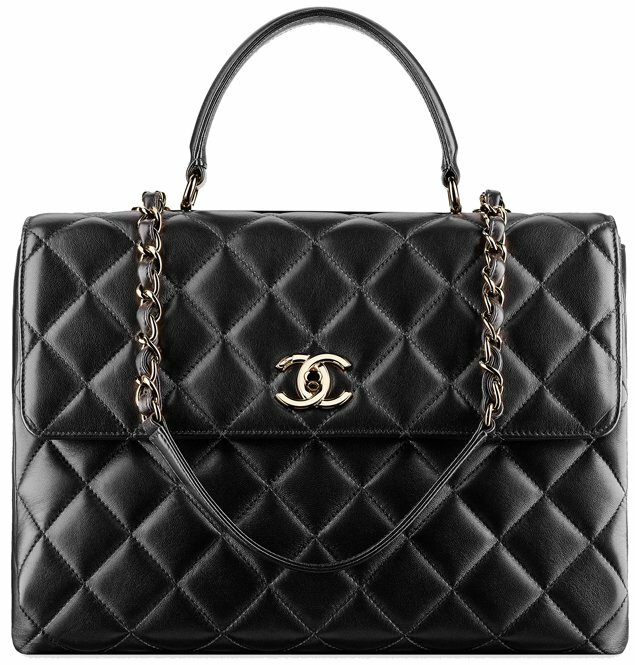 The Boy Chanel Medium Plus Bag, also known as the New Medium was introduced two years later in 2014. 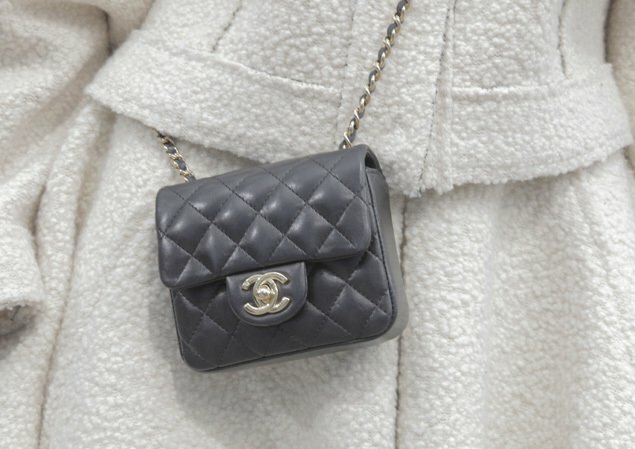 The original Boy Chanel Medium Bag is now also named the Old Medium. Both bags are available. The New Medium Bag is a size bigger than the original Medium, but not as big as the Boy Chanel Large Bag. The current retail price of Chanel Small Trendy CC Bag is: €4390 euro, £3980 GBP. The current retail price of Chanel Medium Trendy CC Bag is: €4730 euro, £4290 GBP. The current retail price of Chanel Small Gabrielle Hobo Bag is: €3280 euro, £2950 GBP. The current retail price of Chanel Medium Gabrielle Hobo Bag is: €3700 euro, £3700 GBP. The current retail price of Chanel Large Gabrielle Hobo Bag is: €4000 euro, £3590 GBP. The current retail price of Chanel Mini Coco Handle Bag with Calfskin Handle is: €2950 euro, £2920 GBP. The current retail price of Chanel Small Coco Handle Bag with Lizard Handle is: €3990 euro, £3890 GBP. The current retail price of Chanel Medium Coco Handle Bag with Calfskin Handle is: €3450 euro, £3380 GBP. The current retail price of Chanel Medium Coco Handle Bag with Lizard Handle is: €4450 euro, £4130 GBP. 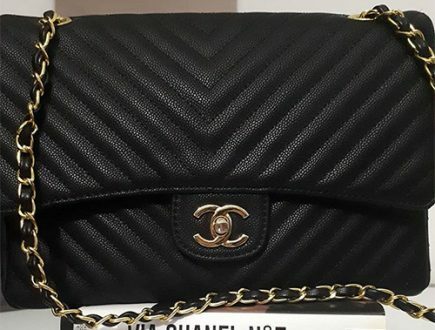 Hi may I ask how much for chanel coco small handle bag in Europe? Any slightest idea as to when the Chanel Pre-Fall 2017 collection will be launched this month? Thks. 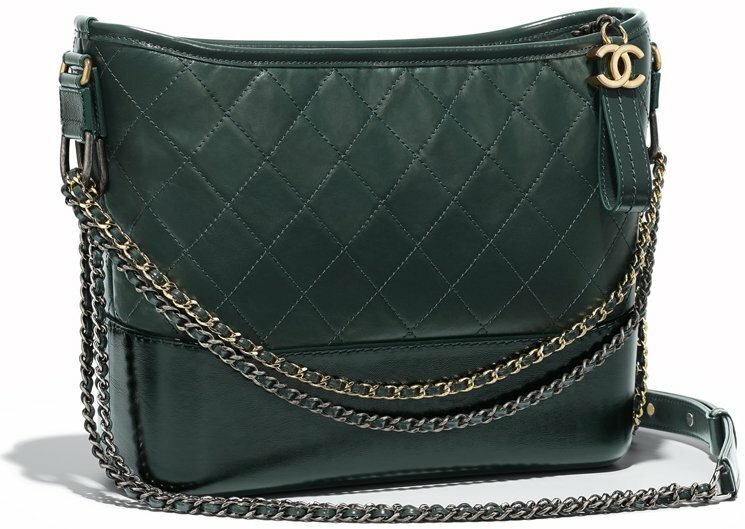 Already launched =) The boutiques are now stocking them: https://www.bragmybag.com/chanel-pre-fall-2017-seasonal-bag-collection/. Hello everyone, I bought a so black reissue 225 chevron on May 27 ($6325 CAD), does that mean that this is the new price or the old price? Hi JC, the prices in Canada has remain the same, there is no price increase over there. 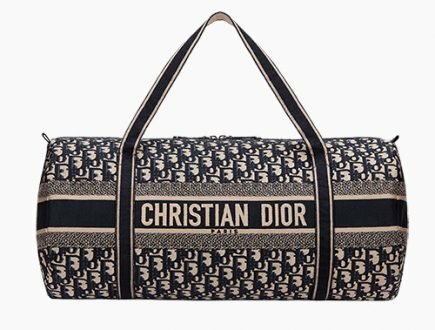 The store is still selling your bag for $6325 CAD right now. And congrats with your limited so black bag. This is what SA in France told me. Hope it helps. will classcial flap jumbo price increase too? Someone knows if mini rec in any black leather with shw is available in Dublin or Amsterdam? Thanks glad the article! Are the prices reflecting the price increase that supposedly is happening around now in Europe?? 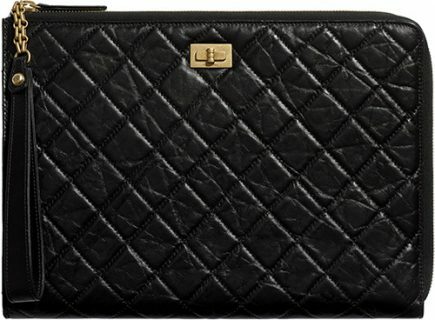 Just want to give it a try here and does anyone know or can help check the availability of the Chanel Small Metallic Clutch Bag (Black One) in London and Amsterdam Boutique? Thanks!!! I also uploaded a photo of the clutch. I have just called the Chanel boutique Amsterdam, but unfortunately they did not brought this bag at all.